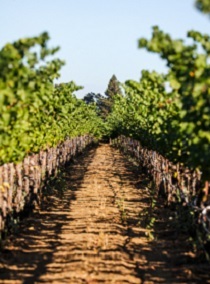 Young Inglewood is situated on the coveted benchland nestled up against the Mayacamas in the Southwestern reaches of the St Helena, appellation. The benchland is renowned for world class Cabernet Sauvignon and other red Bordeaux varietals. Our vineyard is further distinguished by seemingly bottomless gravelly loam soil punctuated by fist-sized rocks. It is part of the famed alluvial fan that fingers outward from the Mayacamas into select sites. We transitioned the vineyard to a site-specific mix of organic and sustainable farming to enhance vine health and balance. These farming techniques, combined with our deep well-drained soils and mountain-moderated climate, allow us to produce Cabernet Sauvignon and other Bordeaux varietals of profound depth and complexity.